night after night, the lights were burning bright. strange noises were coming from within the farmshed. the gate swung open yesterday and who came out wagging his tail? ... It was Fritz the doggy, followed by Nellie the horse with Mr Kola the koala on her back and Dauwng! ( doing!, doing!, doing! ) the kangaroo. looking like giant leaves floating in the sea, thousands of golden rays are seen here gathering off the coast of mexico. The spectacular scene was captured as the magnificent creatures made one of their biannual mass migrations to more agreeable waters. 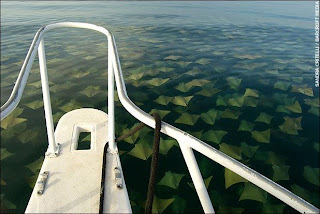 gliding silently beneath the waves, they turned vast areas of blue water to gold off the northern tip of the yucatan peninsula. Sandra Critelli, an amateur photographer, stumbled across the phenomenon.she said: 'It was an unreal image, very difficult to describe. the surface of the water was covered by warm and different shades of gold, and looked like a bed of autumn leaves gently moved by the wind. what's a make me kit? Smiles were defiantly being shared on the 2nd of august 08 when twospoonfulsofsugar's make me kits went on sale. 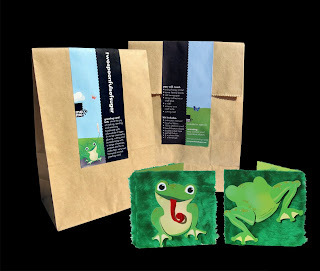 make-me greeting card kits. share the joy of making, sending and receiving handmade gifts. 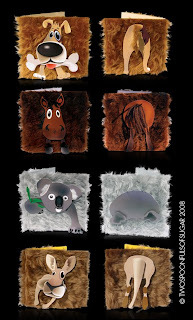 allows kids of ages 5+ ( big kids or little kids) to be creative by gluing, cutting and accessorising with a range of textures, pictures and fur to make their very own greeting card from our farmyard animal range, which includes a: cow, duck, frog, cat, piggie, horse, dog, kangaroo and a koala. to write your name saying "I made this"
all you need extra is a smile, some glue and scissors. its all about sharing a smile. welcome to the official twospoonfulsofsugar blog. our aim is to share smiles with you all and hear about what makes your grins come out and shine. firstly, I would like to share a pic of twospoonfulsofsugar's first appearance at the rose street markets in melbourne last weekend. 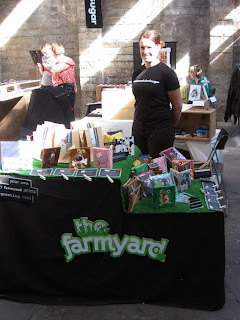 was a great business "shopping" weekend and managed to sprinkle loads of our cheery furry smiles around!